Figure 4. 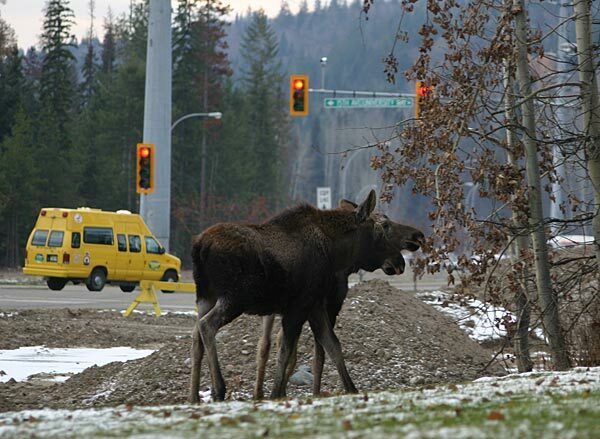 Two moose calves browse on an aspen tree at a busy street corner on the outskirts of Prince George. October 31, 2006.